Public Safety Minister Mike Morris weighs in on the news that Ottawa is set to consider a bill on marijuana legalization next month. Mar. 28, 2017 5:00 a.m.
B.C. Public Safety Minister Mike Morris has weighed on reports that the Trudeau government plans to table a bill next month on legalizing marijuana. 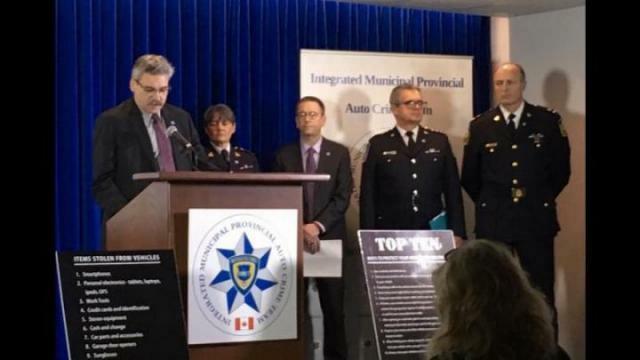 On Tuesday, he spoke reporters at an event in Surrey about how police in this province will enforce the law, since that and a number of other areas are at each province’s discretion. Morris said officers will look to use some kind of screening device to test drivers who are suspected of driving while high. “It’s just a matter of getting a device that’s handy enough that a police officer can use it roadside to make that determination,” he said, adding he has visited Washington and Colorado to see how legalization was rolled out there. A prototype for such a device is expected to be ready before the drug becomes legal, which is expected to be before July 1, 2018. The provinces must also decide the legal age to purchase marijuana, how the drug will be distributed, and how much it will cost.